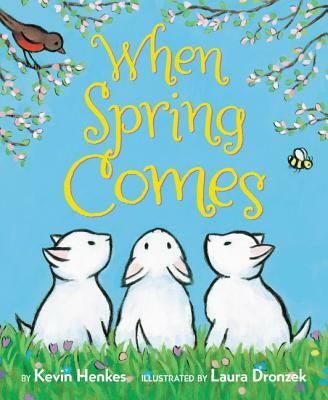 From Caldecott Medalist and Newbery Honor author Kevin Henkes and the acclaimed painter Laura Dronzek, the bestselling and award-winning creators of Birds and In the Middle of Fall, this sturdy board book edition of When Spring Comes is perfect for the very youngest readers. In this beautiful board book edition for young children, Caldecott Medalist and Newbery Honor author Kevin Henkes uses striking imagery, repetition, and alliteration to introduce basic concepts of language and the changing of the seasons. And acclaimed artist Laura Dronzek’s gorgeous, lush paintings show the transformation from quiet, cold winter to the newborn spring.